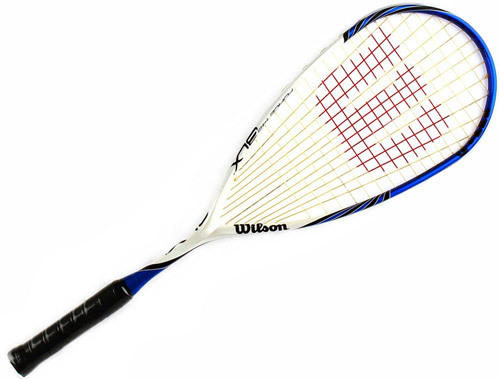 We will help you to find the right squash racquet which will suit your needs. Before choosing, you should know your skill level and your preferred playing style. Technical – Technical players prefer technique before powerful shots. This type of players have managed the stroke technique well. They are mostly professional or very active players. Universal – Combination of attacking and technical style. The player uses the whole playing area and the racquet should have a balance point in the centre. Attacking – A head-heavy racquet. Swift strokes with a big swing. The technique is not too important. Flexibility - The trend with squash rackets is shifting towards stiffer rackets, as they give the player more energy and better precision. Balance - The balance point is typically shown in centimetres; the higher the number the lighter the head of the racquet. The lighter the head, the less power you'll have through your stroke but the trade-off is that you'll have more control and manoeuvrability with your racquet. Keep in mind that the addition of strings, vibration dampeners, grip tape or any other racquet accessory will also influence the final balance point of any given racquet. 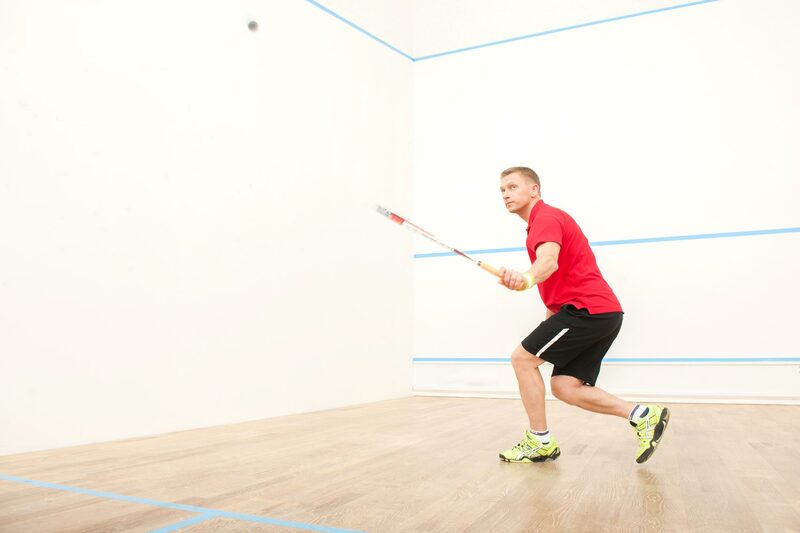 Length – Standard length of a squash racquet is 685 mm, which also equal the maximum length allowed by international rules. Shorter racquets are suitable for children and young adults. 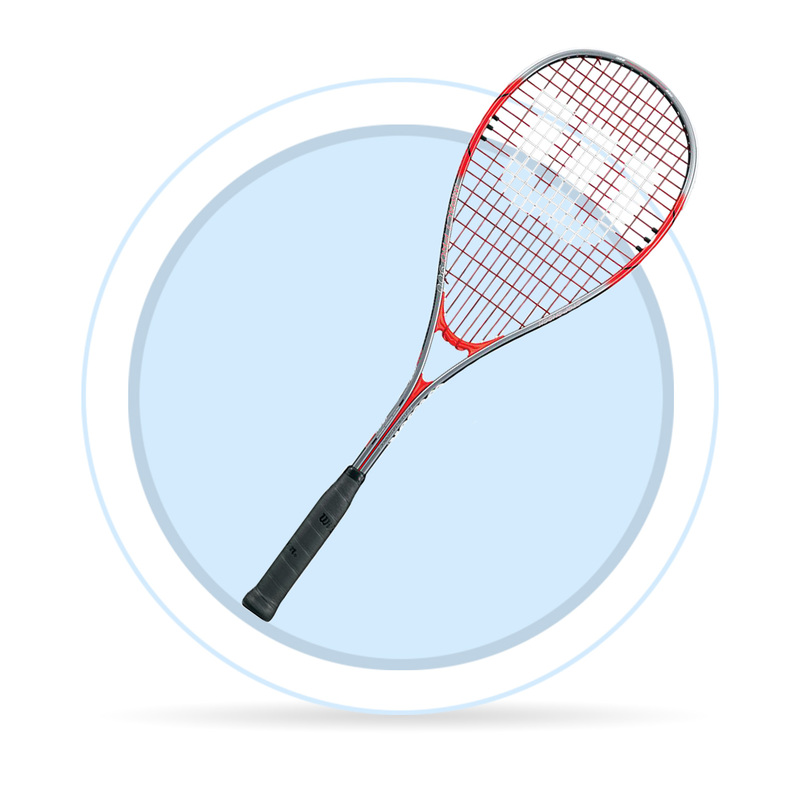 Weight – Squash racquets range from ultralight 130 g models to heavier aluminium racquets weighing up to 210 g. Heavier racquets are suitable only for casual play. 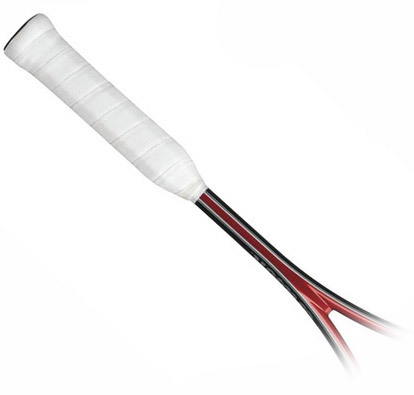 Technical players may prefer lighter racquets which allow more control. The heavier a racquet, the more power you get on your shot. The grip is the point where your hand touches the racquet and therefore should be comfortable. The racquet shouldn’t slide, the grip should be comfortable, absorb moisture and dry quickly. Ideal grip should also absorb vibrations. 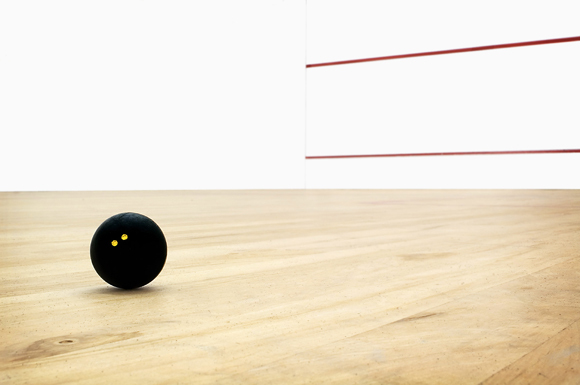 How do you choose the right squash ball? Just follow one easy rule: A softer ball bounces less and is therefore slower. A harder ball bounces more and is therefore faster. Beginners generally prefer learning with a faster ball that offers a little more bounce, which is provided by the density of the rubber and the pressure inside the ball.